This is a recap of what we did on our second day in London. If you do decide to visit, and I believe everyone should at least once in their lifetime, you should bring much more time than we did. We only had a couple days and therefore packed as much as possible in 24 hours. The day before was just crazy. Madness. Foggy and cold. Awesomeness. And it took me forever to fall asleep but I finally drifted off and woke up only a few hours later. A and I agreed on leaving the hotel the latest at 8, so we could get the most out of the day. So when I looked at my ipod’s display it was already 6.30. I was aware of the time difference between Oslo and London, I knew that it was an hour but in my daze I couldn’t for the sake of my life remember if we now were an hour behind or ahead. I decided, that we were actually an hour ahead and that it was 7.30 and we wanted to leave at 8, so I had to get up and get ready. I took a quick shower and was surprised, that A was still in bed, when I was done showering. He looked at me and asked me why I was up already and I explained that it was almost 8 am. He shook his head, he moaned half-asleep, that it actually only was 5.30 and that I should come back to bed. But I was already ready to rock. After all, we only had a couple days and I was already awake so why not just begin the day? A reluctantly agreed and finally, about an hour later – at 6.30, we were out of the hotel. We made our way to Kensington gardens. Peter Pan. When A and I first met, he asked me what my name was and I told him it was Wendy Darling and he instantly replied, that my Peter Pan was finally here. So when I realized that our hotel was close to Kensington gardens I basically raced towards the park, A asked me how I could be so sure, that there would be a Peter Pan statue in the park, I didn’t but I clearly remembered Matthew Barrie’s line about Peter Pan in Kensington gardens. And therefore there had to be a Peter Pan statue somewhere. And there was one but we didn’t figure that out until the next day. But A told me, he needed coffee first, which is why we stopped at Lo Spuntino and had a great traditional English breakfast. With tea and milk and baked beans and bacon and toast and sausages and just all the yummy goodness you need at 7 am on a Saturday morning, when being in a strange city for the first time. Afterwards we walked through Kensington gardens and slowly made our way to Albert Memorial and Albert Hall. And I have to admit, English people are maybe a bit weird, but they do know how to build proper statues and monuments!! By then the city-sightseeing-hop off and hop on-buses were running already (we bought tickets beforehand), which I believe is the best way to explore a city when being there for the first time. The weather up to then was somewhat kind to us although grey but to greyness we are already used to, living in Norway and all. But then it started pouring, which is something you do expect when being in London although you always hope for sunshine and warmth. But you don’t expect to be drenched after walking 2 minutes in the rain. We got lucky though, after only 45 minutes it stopped raining and we arrived at Picadilly circus. We then took another bus tour (they have four different ones) heading towards London Tower (of course not before stopping and gazing at Big Ben and Westminster Abbey, London Eye, London bridge and a billion other magnificent sights). Meanwhile we passed Trafalgar square and it is just wonderful, they even had 4 really big lions there, not real ones obviously. The tour guide explained to us, that when Big Ben strikes 13, these lions will get up and walk around Trafalgar square. 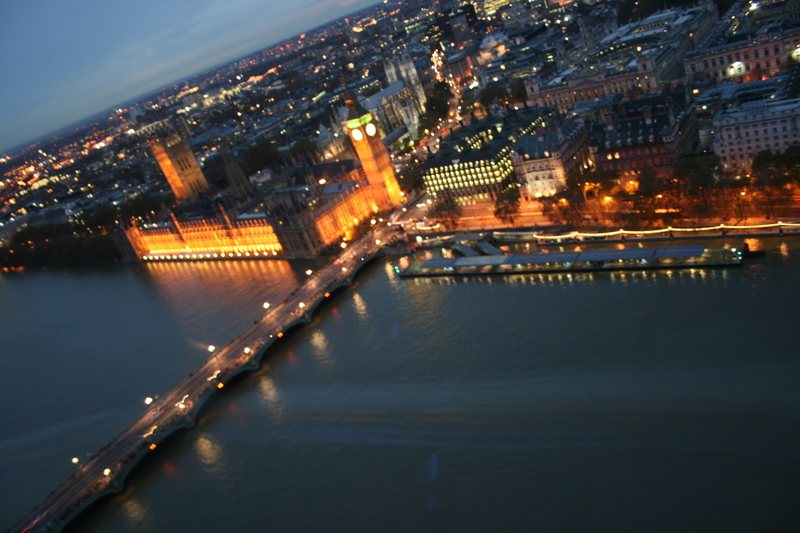 London Tower is an experience in itself. A zoo, a prison, a playground, a tourist attraction and most importantly the place to be, when you love shiny things, like crown jewels. As soon as we entered, we got yelled at by one of the ‘guardians’ of the London Tower, to put away our camera. I guess they don’t want us to share the wonderful shiny stones with the rest of the world, although it felt like the rest of the world was already in the room with us. We spent the majority of the morning at the London Tower and if you ever do visit London, this is the first place to visit! We learned that London Tower had some real-life-ravens and that if they ever do fly away, the entire London monarchy will break down and all hell will break loose. By then A and I were already exhausted and tired and hungry and cranky and indecisive about what to do next. We quickly (only took 15 minutes to decide…) figured it out and decided to check out a place in Fleetstreet. (post to follow) Ye Olde Cheshire Cheese. After lunch we made our way back to the tour-buses and took the bus back to Westminster Pier only so we could take a boat-cruise up the Thames, back to London Tower. The tour was awesome, although a bit tumultuous as the water was rising, which apparently it does twice a day in London. As we cruised up the Thames, we noticed some lions’ heads. These were located both sides along the Thames, a bit above sea-level. This was a different tour guide and he pointed out Shakespeare’s theatre and a bunch of other sights, that are must-sees, if & when time while being in London. And then he pointed out the lions’ heads. He smirked and rhymed, “when the lions start drinking, London starts sinking”. We got off a couple minutes later and stood in front of the magnificent London Eye. The only ferris wheel, A ever felt comfortable enough to talk to me while being on the wheel, as I discovered later. As we stood in line (after picking up our tickets, which we also bought online), I noticed how A got noticeably quieter. By the time it was our turn to get on the wheel, he was palish and really uncomfortable. I sometimes forget, that he has a fear of ferris wheels. But for me, he does everything, even if it means risking his life just to make me happy. And by risking his life, you got it, he means getting on a ferris wheel. But once being on it, he realized that it was really steady and not at all shakey, so he started talking to me, just small talk that is, but he was talking, he NEVER talked to me on a ferris wheel before. NEVER. But tell you what, London by nightfall is just wonderful. Everything is lit up, the city is vivid and alive and modern and crazy and beautiful. A later admitted that, although he couldn’t enjoy the ride itself as much, that the view was totally worth it. After London Eye we made our way to Trafalgar Square and had dinner in the crypt. It was a bit creepy but also very vivid. A lot of people, sitting together in a dark room and it just had a certain vibe to it, a feel, that you don’t get everywhere. I had some cobbler, after all, this is London, what else are you supposed to eat? We watched some people and genuinely enjoyed ourselves in this odd place to eat dinner at. By then it was already 7 o’clock and both A and I were tired and exhausted so we decided to enjoy an evening walk back to our hotel. We walked towards Buckingham Palace and enjoyed the wonderful view and then we walked up Oxford street. I instantly noticed that his part of town was just crazy busy. All the locals and tourists were enjoying their Christmas-shopping. The street was wonderfully decorated with tons of lights and A and I realized, when walking at night in Oxford street before Christmas-time, you better be aware of silly rhymes. It took us an eternity and a half to finally get to our hotel. Oxford street was just so crazy and ridiculously long, although wonderful and interesting, but walking at night? After a full day of touristy stuff? Too much too handle.